Organize collaboration meetings between faculty. Project team leadership, facilitation, and communications. Identification of faculty partners in other departments or at other colleges/universities. Assist in the writing of non-technical parts of the proposal (plans for management, education, diversity, outreach, innovation, commercialization, economic development, evaluation, postdoctoral mentoring, data management, etc.). Write and edit research proposal documents – such as biosketches, current and pending support, resource documents, letters of support, data tables. Obtain information on institutional and web-based information data tables and project narratives, including Grand Challenges, statistics and rankings, national benchmarks, shared facilities and equipment, etc.). Consulting on site visit planning and strategy; facilitation of planning workshop. Leadership of logistics, scheduling, and coordination, supervising support team members providing invitations, registration, hotel blocks, travel assistance, ground transportation, parking, meeting space and AV assistance, signage, food and beverage planning, renovation and clean-up of spaces to be toured, etc. Budgeting for site visit costs and payment of all invoices and reimbursements. Hosting videoconferenced industry partner webinars. Coordinating of writing, design, graphics, photography, floor plans, space renderings, etc., for brochures and slides. Strategy, formatting, and editing for all slide presentations. In conjunction with other OR divisions, assist in the preparation of all Site Visit Team binders and participant team handouts. Troubleshooting any presenter or production issues during the site visit. Assist in the preparation of slides, and rehearsals for reverse site visits. Coordination and editing of post-site visit responses to reviewer questions. Coordinate activities with the RPD staff and other OR divisions to enhance the electronic dissemination of funding information to the research community. Enhance the distribution of information to researchers. Communicates knowledgeably and articulately with faculty, staff and students by telephone and in person in the instruction in the use of the OR/Research Support website particularly proposal development resources. Instructs faculty, staff, and students in the use and searching of on-line databases available in the RPD. Participates in New Faculty Orientation when requested by the Provost’s office. Master’s degree and three to five years of relevant experience. Experience with RFAs/RFPs and an ability to read and interpret sponsor requirements in terms of proposal needs. Ability to communicate articulately, both verbally and in writing, with faculty, staff, students and various funding agencies. Familiarity with different organizations and sponsors in DC and the ability to identify and provide expertise to faculty to facilitate visits to program officers at federal sponsors. Ability to evaluate, interpret and give advice to faculty, staff and students on the applicability of funding opportunities to their particular research project(s). Knowledge of the preparation and assembly of large multi-disciplinary/investigator grants. Incumbent is expected to provide support to faculty as required, particularly during the final phases of proposal preparation/preparation for site visit. Ability to manage multiple projects with great attention to detail. Familiarity with fundamentals of budgeting as well as proficiency in writing and organizing data. 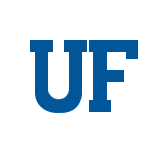 Familiarity with UF’s proposal and awards systems, and the PeopleSoft system. Understanding of university research administration structure, interrelationships and policies. In order to be considered for this position, you will need to provide a cover letter, resume, and a list of references. This requistion has been reposted. Previous applicants are still under consideration and need not apply.